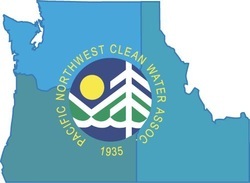 Welcome to the website of the North Idaho Water/Wastewater Operator Section (NIOS) of the Pacific Northwest Clean Water Association (PNCWA). Please use the links above to learn more about our organization. NIOS is currently looking for 1) Officers and Area Directors. Please contact Michael Taylor (mtaylor@cdaid.org) or Marc Branscome (mbranscome@cdaid.org) if you're interested and for additional information.